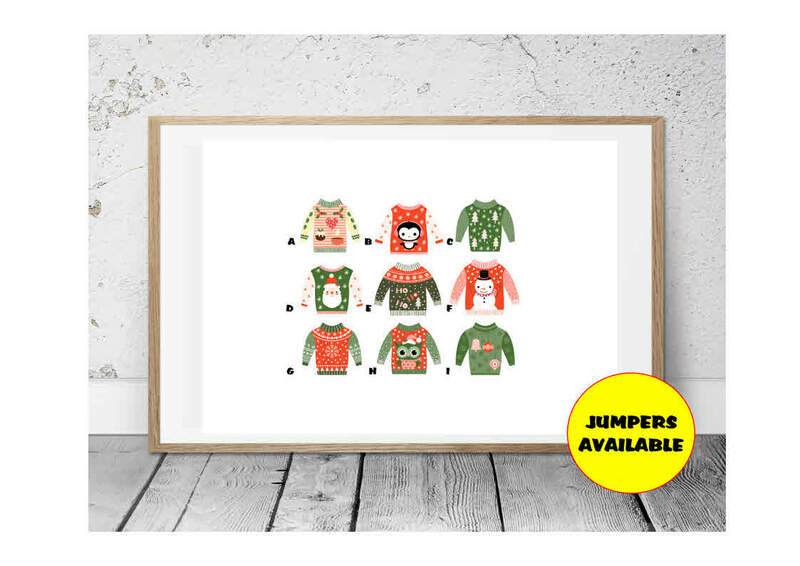 Each lovely print depicts the family members as cute Christmas jumpers with the wording "Having a magical Christmas since (your date)". Please detail on checkout your chosen surname/family name and which family members you would like shown. For larger family requests the Christmas jumpers will be scaled accordingly, so may be smaller than shown in the image. The second image shows the styles of 'jumpers' available - you can add this information to your 'name' entry as a number or the 'feet' will be chosen at random if nothing is entered.